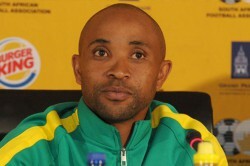 Former Kaizer Chiefs and Warriors defender Jimmy Jambo believes Zimbabwe can successfully defend their Cosafa Cup title. 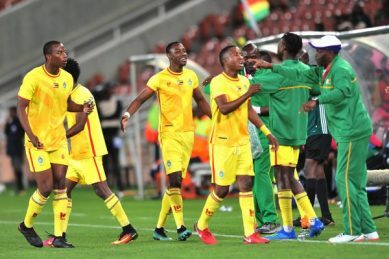 Zimbabwe beat Botswana on penalties to advance to the semi-final of the tournament this past weekend. 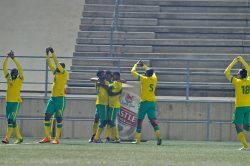 South Africa made it three wins from three when they claimed a hard-fought 1-0 success over Botswana in their Group A clash at the 2016 Cosafa Under-20 Championships at the Moruleng Stadium on Monday. 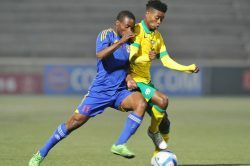 South African Under-20 team (Amajita) coach Thabo Senong has named a provisional 28-man squad to take part in the upcoming 2016 Cosafa Cup Under-20 tournament, scheduled for the North West Province in December. 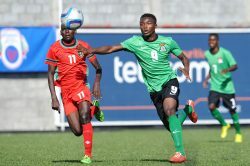 Zambia have been disqualified from the 2016 Cosafa Under-17 Championships being staged in Mauritius having been found to have fielded two over-age players for the tournament. Malawi became the second team to qualify from Group B at the 2016 COSAFA Under-17 Championships on Tuesday when they thumped Kenya 5-0 in Port Louis, Mauritius. 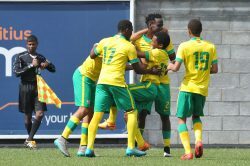 South Africa’s Under-17 team, Amajimbosi, took a big step towards the semifinals of the Cosafa Under-17 Championship, with a 4-0 victory over Namibia in their Group A clash in Port Louis on Monday. 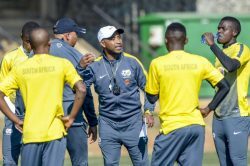 National Under-17 team the Amajimbos’ coach Molefi Ntseki is looking forward to the start of a new era with the Cosafa Under-17 championships to be staged in Mauritius from July 22-31. 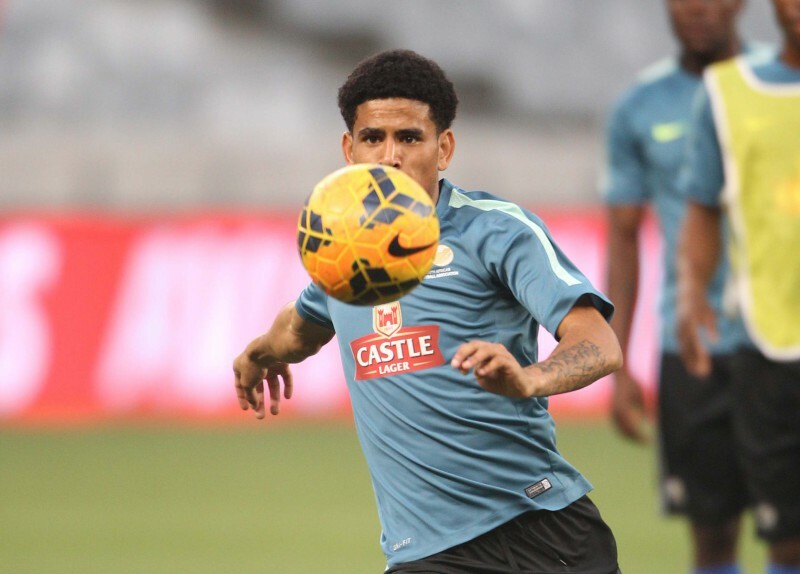 Keagan Dolly says he is happy to see Bafana Bafana winning the Cosafa Cup, even though he was not part of the team. Bafana were disguised as the national Under-23 side in preparation for the Rio Olympics. 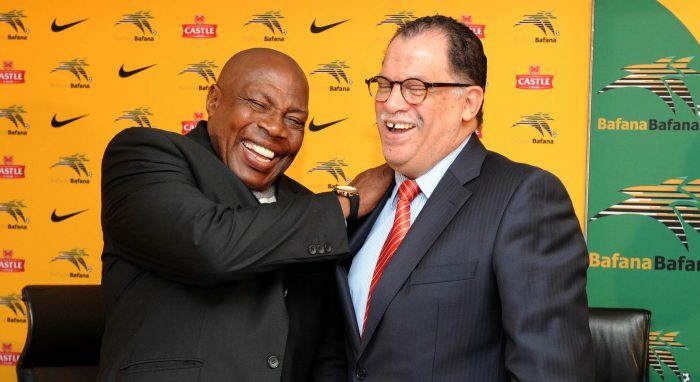 The South African Football Association (Safa) president Danny Jordaan has lauded the young Bafana Bafana squad that won the 2016 Edition of the Cosafa Cup in Namibia on Saturday. 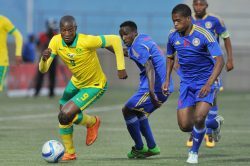 SA overcame stern resistance to take a 3-2 victory at the Sam Nujoma Stadium in Namibia on Saturday night. 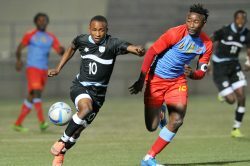 Bafana Bafana and Botswana played to a 1-1 draw at the half-time break in their Cosafa Castle Cup final played at Sam Nujoma Stadium in Windhoek on Saturday night. Hello and welcome to Phakaaathi’s live reporting of the 2016 Cosafa Castle Cup Final between South Africa and Botswana at the Sam Nujoma Stadium. 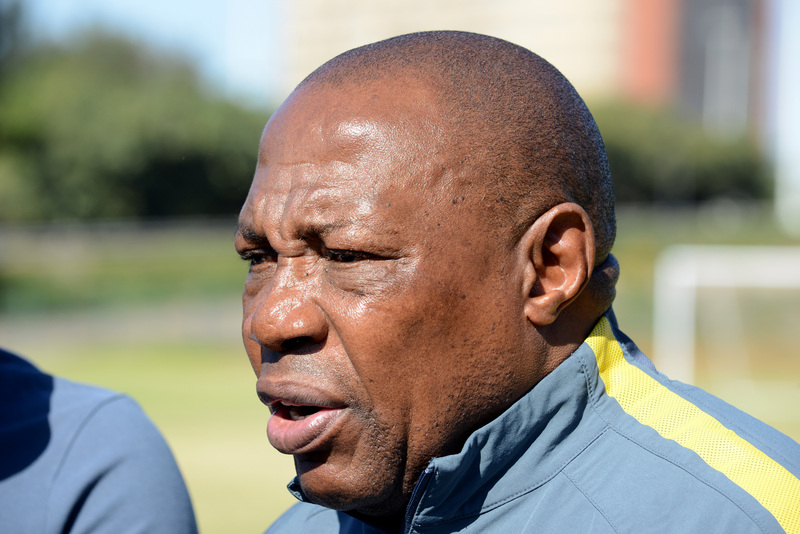 Bafana Bafana coach Shakes Mashaba has made two changes for the Cosafa Castle Cup final clash against Botswana which will be played on Saturday, at the Sam Nujoma Stadium in Namibia. 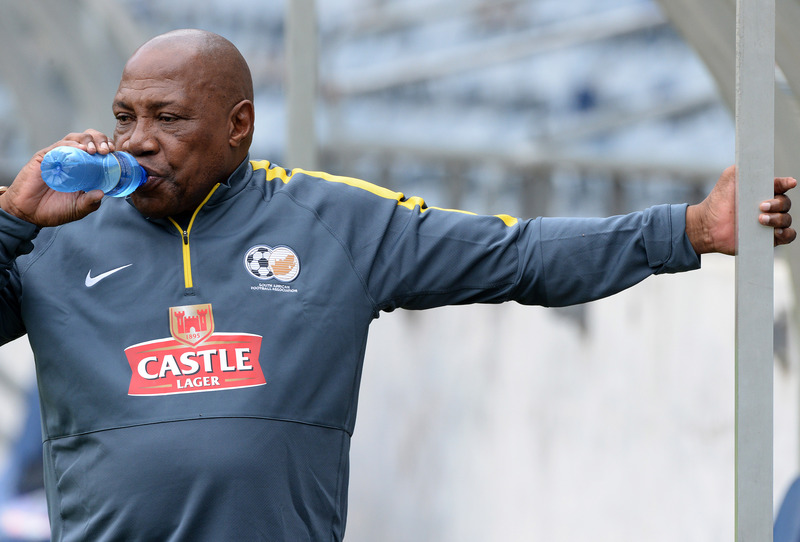 Bafana Bafana coach Shakes Mashaba praised Menzi Masuku following their 5-1 demolition of neighbours Swaziland in the Cosafa Cup semi-final on Wednesday. 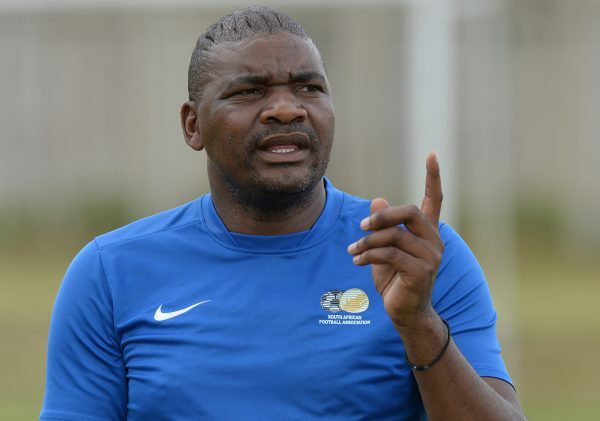 Swaziland national team coach Harries Bulunga blames the red card given to a Swazi player for his side’s 5-1 humiliating loss to Bafana Bafana on Wednesday night. 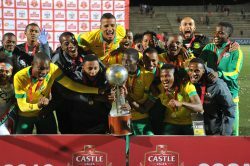 South Africa came from a goal down to beat Swaziland 5-1 at the Sam Nujoma Stadium on Wednesday to claim their place in the Cosafa Cup final. 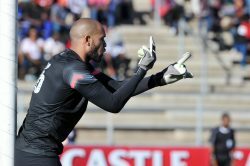 Botswana beat the DR Congo 5-4 on penalties to reach the final of the Cosafa Cup where they’ll meet South Africa’s Bafana Bafana on Saturday. 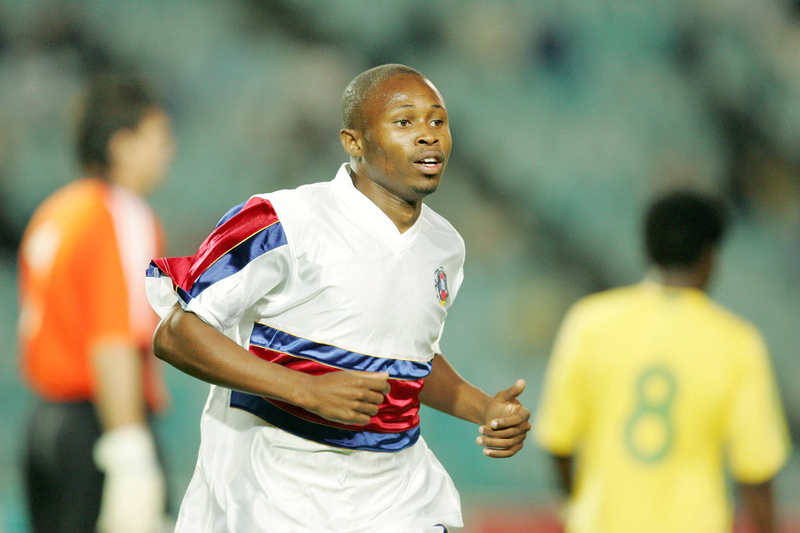 A brilliant goal by Tony Tsabedze gave Swaziland a 1-0 lead at half-time in their Cosafa Castle Cup semi-final match against South Africa. Hello and welcome to the Sam Nujoma Stadium where South Africa’s Bafana Bafana take on Swaziland in the semi-final of the Cosafa Cup. The semi-final clash between Bafana Bafana and Swaziland in the Cosafa Castle Cup will be a battle between master and student. 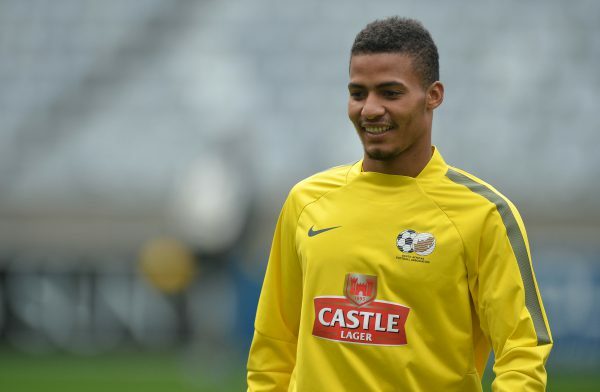 The Kakamas-born defender Rivaldo Coetzee will captain Bafana Bafana’s Cosafa Cup squad against neighbours Lesotho on Saturday afternoon.